“Dear Miche, There you are, in your jean jacket and braids, a long way from that little apartment on the South Side of Chicago. You’re at one of the finest universities in the world. You’re smiling, and you should be, you worked hard for this,” Obama wrote. It was only later, Obama, wrote, that she found out her parents had to open new lines of credit to pay her tuition. 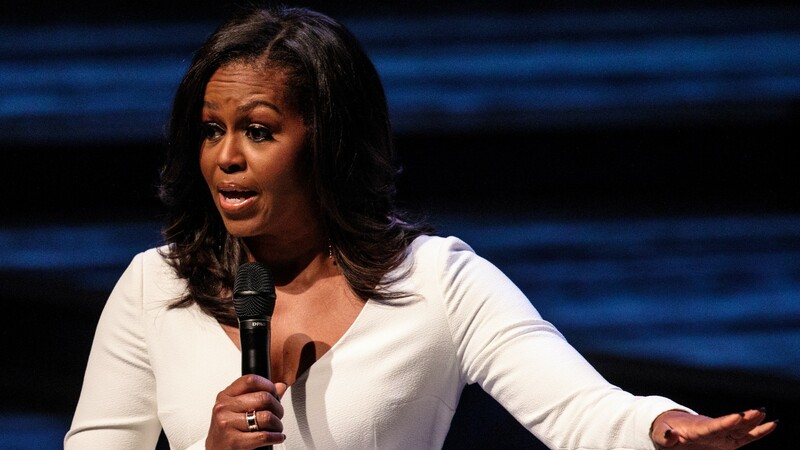 “But Michelle, what you’ll come to realize one day is that you’re only seeing what you lack and not everything your story has given you,” she said. Still, Obama told her younger self, she should never forget where she came from or the fact that so many others like her are never given any platform from which to be heard. “There are so many people out there like you, Miche. Black girls and minorities of all kinds, working-class kids from big cities and small towns, people who doubt themselves, who are uncertain about whether they belong but have so much to offer the world. Share your story with them, the struggles and the triumphs and everything else. Show them that there’s more beauty inside than they can see right now,” she wrote.